Steam mops are phenomenal ways to keep your floors squeaky clean and looking great. They are convenient, easy to store, and efficient, making them a highly useful cleaning tool to keep around the house. Not only that, but they are also very simple to use and easy to take care of. In order to find the best steam cleaner, though, there is plenty of information to consider. This guide will address all the necessary need-to-knows when buying a steam mop, provide steam mop reviews, and plenty of other information that is great for comparing the best steam mops available. Ease of Use: The most steam mops are incredibly simple to put together and use, this is still an important factor to keep in mind. The best way to figure out just how complicated it is to get a steam mop up and working is to check steam mop reviews of the product. Maintenance: Proper maintenance is a chore many people would rather overlook, however, it is essential to prolonging the life of your mop. Fortunately, most good steam mops require very little to maintain. For the most part, you will only have to clean (and eventually replace) the cleaning pads. When buying a steam mop, look for one that is simple and quick to maintain. Safety: In order to work properly, steam mops have to get quite hot. Because of this, make sure you look for a mop that is properly designed to ensure that you do not burn yourself or your belongings. Tank Size: The bigger the tank, the more water the mop can hold and the longer you can go without refilling. Of course, this also means added weight, so choose your tank size appropriately. Cord Length: This one is pretty straightforward—the longer the cord on your mop is the further you are able to travel away from the outlet. Seconds to Sanitize: Seconds to sanitize is a measure of how long the mop must be held in a single place before reaching the temperature necessary to kill any microorganisms trapped in your carpet. The lower this number is, the faster you can sanitize your floors. Attachments: The more attachments a steam mop comes with, the more versatile it is and the more you are getting for your money. Before you buy a mop, be sure and check the description to see just how many (and what kind) of attachments you are getting. For cleaning hardwood floors, the BISSELL Powerfresh Steam Mop is unparalleled in the consumer market. The head is designed to be small enough to maneuver into corners and under overhangs with ease, and the attached scrubber can be flipped down to concentrate on cracks and crevices which normally get passed over when cleaning. The mop ships with fragrance disc inserts for a pleasant scent while you clean, but what really sets the Powerfresh apart is the SmartSet Steam Control, which allows you to customize the temperature of the steam produced to ensure you get the most out of your work without damaging even sensitive woods. Most steam mops on the market today boast a grout and crevice attachment or some enhanced mop head design to clean grout, but few can compete with the Shark Steam Pocket Mop. Its small size – hence the name Pocket Mop – allows it to go where other mops simply won’t fit, and the smaller head means the steam is concentrated over a small area for more effective cleaning. One of its best features , however, is its water tank. The capacity of the Pocket Mop’s integrated water tank means that even for a powerful mop built on a small frame, you don’t have to refill it much more often than a full-size steam mop. Consumer steam mops run the gamut from mini steamers to full blown industrial grade cleaning systems. But as far as getting the most value per dollar spent, the Hoover TwinTank Steam Mop takes the cake. As the name suggests, the TwinTank’s pride and joy is its two tank steam system, which allows the user to clean with either steam alone or Hoover’s proprietary disinfectant solution. This dedicated disinfectant tank means that when you just want steam, there’s no cleaning out the tank, constantly messing with cleaning solutions, and still having leftover disinfectant in the tank when all you want is water. The TwinTank’s power is ample, but in the end what it does best is simplify cleaning. Steam mopping isn’t something the average homeowner does every day, or every week for that matter. For the most part, wet mopping is sufficient to keep a living space clean and presentable, so a steam mop is more of an extra tool in the cleaner’s arsenal to be broken out on special occasions. As such, most won’t want to break the bank for something they won’t use all that often. When it comes to the best steam mop on a budget, it’s hard to beat the Eureka Enviro Hard-Surface Floor Steamer. Featuring a telescoping handle and broad-stroke 12.5 inch steam head, this Eureka is a sensible addition to any health-conscious resident’s repertoire. Most steam cleaners are purpose built for hard surfaces, adding carpet cleaning capabilities as an afterthought. This is where the Hoover Max Extract Dual V All Terrain Carpet Washer (say that five times fast) stands out. This beast is equal parts steam scrubber and carpet cleaner, and rather than sacrificing one capability for the other Hoover has opted to go all out, producing one of the most effective cleaners on the consumer market today. With a suction head containing six counter-rotating brushes and a Dual V suction system to back it up, this is one of the top rated steam mops available. 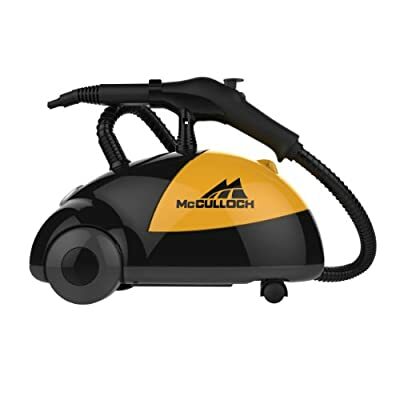 More reminiscent of a shop vac than a household vacuum cleaner, McCullough’s MC-1275 Heavy-Duty Steam Cleaner is right at home in the garage or shop. Boasting 1500 watts of steaming power and a fistful of accessories, the McCullough is purpose built to erase even the most tenacious stains, grease and grime from your outdoor toys. Designed for use on cars, trucks, motorcycles, boats, and the like, it has a gargantuan 50-ounce water tank to ensure that you can focus on the job at hand rather than keeping your steam cleaner topped off. And, though it may be a bit over-qualified, this steam cleaner is just as good indoors as it is outdoors. Another multipurpose cleaner like the McCullough, the Steamfast SF-275 Canister Steam Cleaner is the best choice for those on a budget. A hefty 48-ounce water tank allows for up to 45 minutes of continuous steam, and that’s with the system cranking out 1500 watts worth of pressurized steam. The Steamfast’s primary selling point is its wide variety of attachments and accessories, which include a standard steam mop head for hard surfaces and sealed hardwood and a small chiseled scrubber head for concentrated cleaning of grout and hard to reach crevices. If you’re looking for a powerful and versatile indoor steam cleaner that won’t clean you out, then look no further than the SF-275. Shark steam mop reviews prove that this is a great steam mop brand to use for anyone. They offer a variety of types of steam mops, and are trustworthy because they have been around for a long time. Many of the reviews say that it might just be the best steam mop they have ever used. 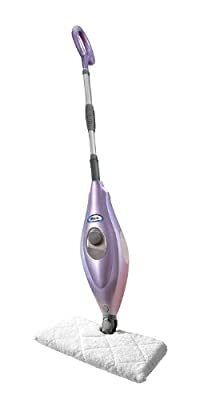 One of the models offered by Shark is the Shark Steam Pocket Mop. This particular model is best to use on hard floor surfaces, and are one of the best steam floor cleaners you can get. It is also one of the best steam cleaners because it promises almost a hundred percent sanitation for all hard flooring. It has a quick set-up, and cleans your floors in just a matter of thirty seconds. Using heat and steam, as well as exercising the same motion as a regular mop, you’ll have a shining floor in no time. Another model offered by the Shark brand is the Shark Sonic Duo Carpet and Hard Floor Cleaner. This model comes in handy if you plan on cleaning carpets, as well as cleaning hard floor surfaces. This makes cleaning much easier because it promises to remove all dirt, allergens, and odors from any carpet that might inhabit your home. The Shark Sonic gives you two different scrubbing modes that aids to your every floor or carpet cleaning need. This steam cleaner not only keeps your home spotless, but also keeps your children and family safe. It releases no toxic fumes, ensuring safe and pleasant use. 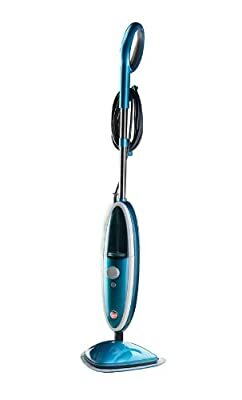 Bissell steam cleaner products are top rated steam mops. Their selection of steam cleaners are almost endless, ranging from cordless steam mops, to electric, to hand held. Bissell steam mop reviews all say that the variety of products they offer are very beneficial to those looking to buy a steam mop, and almost anyone can find one that best fits their need. One of the models they offer is the Bissell Ready Clean Power Brush Carpet Cleaner. This model is used for carpets, and most Bissell steam mop reviews say that it’s the best steam cleaners out there. This product is very light, weighing only twelve pounds, so it’s very easy to maneuver. It also includes a retractable handle, which means it’s smaller and can be put in smaller storage areas. The water tank is incredibly simple to fill, and the nozzle is removable as well, making it easier to clean. This steam cleaner removes dirt that has been trapped beneath and within your carpet, leaving a better smelling, cleaner carpet. When you purchase the Ready Clean Power Brush Carpet Cleaner, as free eight-ounce bottle of Spring Breeze Deep Cleaning Formula comes with it, and many steam mop reviews say that it leaves your carpet smelling great, without leaving an overpowering scent. Another product they make is the Deep Clean Lift-Off Carpet Cleaner. This is beneficial because there are two machines in one, meaning you can clean everywhere in your house, including furniture, stairs, upholstery, and even in cars. It is built with heatwave technology, which controls the temperature inside of the steam cleaner, keeping a constant temperature that makes sure your getting a top rated floor cleaner. All the Haan steam mop reviews say that they have the best steam mop variety out there. One of the best multi-purpose steam cleaners they have is called the Versasteam. This model is very handy because it’s is a two in one. The Versasteam converts into a hand held steamer within seconds. It can be used virtually anywhere in your household, including the bathroom, or kitchen, or even in your own bedroom. It has a variety of steam settings, making sure that you get any stain, dirt, or grime removed from hard to reach spaces. This product uses no chemicals, ensuring that your family or any pets you have won’t get hurt. This product promises a 99.9 percent bacteria free floor after you use it. It uses only steam to clean and has fifteen cleaning jets that all work together for you to get the widest range of floor cleaned. It includes a swivel head, making it so much easier to get the hard to reach places and helps you cover more ground. It also has an electronic pump that keeps a constant stream of steam. Another product they offer is the Haan Steamer Multiforce Plus. 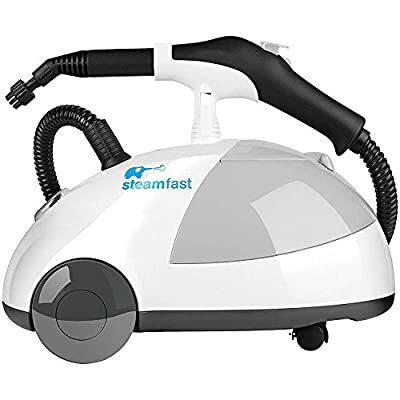 This steamer is made to give you the simplest steam and cleaning your floors have ever had, and you can use it not only inside your house, but outside as well. The pads inside the steamer move super fast, that way your floor gets the best scrub possible. This steamer is all natural, and is environmentally safe, that way your pets and family stay as healthy as possible. The cleaning path on this streamer is very wide due to twenty jets that are in use when you power you Multiforce Plus on. Oreck is a widely known brand of Steam Mops. All oreck steam mop reviews say that it is one of best top rated steam mops out there. One of the top models they offer is the Oreck Steam-It. This model removes the toughest dirt and grime on your flooring, leaving it cleaner than it ever has been after you use it. The water tank that it has was designed just to make sure that you can fill it without having to worry about spilling it, making it so superior to other steam mops out there. This steam mop heats up within a minute, and cleans almost any hard floor surface you can think of. It not only cleans floors though, it also can clean windows, bedding, and is the best steam cleaner for grout. In addition to those, it also cleans inside of cars, and upholstery! The wetness factor isn’t a problem, considering the area you clean is dry within a matter of minutes. Another model produced by Oreck is the Oreck Steam-Glide. Anyone can use this model, and it uses only chemical free steam to clean hard flooring surfaces. This model is very popular because you don’t have to change out your cleaning pads, they are washer safe, and are all reusable, saving you a lot of money. It is rated the best steam mop for tile, vinyl, hard wood, marble, and much more. The Hoover brand is made to clean your entire home easily and effectively. The Hoover TwinTank Steam mop just another steam mop they produced that proves that point. This steam floor cleaner cleans up all the stains stuck inside your flooring, and then cleans up any dirt that hides in your flooring as well. With the two tanks installed in the steam cleaner, it gives you the option of either using pure steam to withdraw any grime that lives in your floor, or using the cleaning solution they make called Hoover Steam Plus Cleaning Solution. If you use the cleaning solution provided, you have the control of how much you use and how long you use it, making sure you have total control when cleaning your home. You can clean basically any hard wood floor surface with this steam cleaner, including hardwood, tile, marble, and a number of other types of flooring. The cord is thirty feet long, giving you more of a range of movement. Another type of steam cleaner they offer is the Hoover Floormate Steam Scrub, which is one of the best steam cleaners used on grout. The reason that is best for grout is because it comes with a Tile and Grout Scrub Brush. You can also use this product on carpet because of a Glider Attachment that is built in. At the most basic definition, steam mops use steam to help eradicate stains that would be much more difficult to remove with a regular mop. On a broader level, there is so much more that they can do. For instance, they not only clean, but they disinfect the surfaces by eradicating certain bacteria. Depending on the type of mop one purchases, it can be very versatile. Some can only be used as a general surface cleaner, but others, depending on overall size, can be used to steam substances such as carpet, countertops, and grout. The basic difference between the two is, once again, the steam and mobility . That being said, there is a lot more that separates the two. The steam mop is very easy to use, as you just have to fill the chamber with water and wait for the steam to come about. It is smaller and more lightweight than the average mop and bucket, thus making it easier to use. Also, the drying time of surfaces is greatly reduced due to steam, though if it is held over a stain for a certain amount of time, it will turn back into normal water, thus taking more time to dry. The steam mop is easy to use, but one must remember to take care of it. It is not exactly a hard job, but it does require some maintenance. The mop heads will need changing or cleaning from time to time, and proper storage is much needed. Most mops come with a storage pad that allows you to holster it after use without it ruining a surface with prolonged heat exposure. If it does not come with a pad, just wait until it cools down to store it. What Types of Steam Mops Are Available? A basic steam mop has a water tank, an element used to make hot-water vapor, and a flat mop head. All it takes is a tank of water, power, and time to heat up before it can start cleaning surfaces. Basic steam mops are relatively cheap and are eco-friendly. Most mop pads are reusable and easily replaceable. Multi-purpose steam mops serve another person other than just steaming. Some come with vacuums to pick up nasty particles that takes away time from using vacuums to do the same job before mopping. Some also come with accessories that turn the steam mop into a steam cleaner, meaning that one can clean tile, grout, or other non-floor substances. Keep in mind, however, that a steam mop will usually not perform as well as a usual steam cleaner. There are also some newer steam mops that combine a basic spray mop with a steam mop. Multi-purpose steam cleaners are essentially steam mops that come ready to handle most any cleaning task. They come with multiple settings and attachments that make them well suited for most any situation. As such, they are certainly the more powerful tool of the two, but are also more expensive. If you like the idea of being able to tackle any cleaning chore at any time then you may want to consider purchasing a multi-purpose steam cleaner. Cleaning pads are almost as important as the mop itself, as this is the part that actually makes contact with the grime. One should take this into consideration when looking at steam mops. Most mops come with one or two pads, but replacements will eventually have to be purchased as well. This section will provide you with the information needed to help in the search for the best steam mop. According to various steam cleaner reviews, micro-fiber cleaning pads are the most common of all the pads, most likely because of its versatility and design to be super absorbent. These are what one will use when cleaning a large surface area. They are also highly durable, and most can be washed many times before being replaced. Also important to remember is that this will differ with the type of steam cleaner. Some are designed to deal with lightweight dirt, and others will handle the more heavy duty jobs. Scrubbing pads are accurately named, as they are primarily used to remove stains from the floor. These are the grenadiers of the pads, and they are very useful when it comes to cleaning hard to reach places like corners, grout, and windows. Dusting pads are used for what they sound like: removing dust and dirt from hard to reach places such as crevices or corners. Vacuums will work on so many surfaces before these pads are needed to clean what is left over. Just remember that when it comes to buying replacement pads, it is a good idea to buy those made by the same manufacturer of the steam mop, as this will help them fit more properly. Also, remember to wash your pads regularly. Some steam mops also come with the ability to clean carpet. To show its effectiveness, steam mops with carpet function should be compared to basic carpet cleaners. Carpet cleaners will only deal with carpets and other soft furnishings. They will not work on harder surfaces due to minuscule brushes designed to get into the fibers of carpets, which hard floors do not contain. Using these on hard surfaces could result in scratches, which is the very opposite of the effect that one looks for when cleaning. Steam mops with features that allow for both soft and hard surface cleaning are able to effectively clean both surfaces, as the name implies. Steam mops will effectively clean and sanitize the hard surfaces as well as removing stains and dirt that vacuums just cannot remove. It is important to remember that these steam cleaners will not do as well on soft surfaces as cleaners that were meant for just that purpose. That being said, a steam mop will kill off most of the bacteria living in the fibers as well as getting rid of various stains and spills. Plus, they will cut down the time needed by a “real” carpet cleaner. Just do not forget to vacuum before you cleaning the carpet. So one can now see how the steam mop compares to the average mop, but there are several benefits that need reiterating. To start, steam mops leave a natural clean scent rather than the smell of chemicals and bleach. In other words, this scent will not burn your nostrils when taking a whiff after a hard day’s work. Most people have come to know the smell of chemicals as the smell of a clean floor, but the steam mop will sanitize and clean while letting the natural clean aroma waft through the air. As mentioned earlier, steam cleaned floors dry much more quickly than others. According to many steam cleaner reviews, the steam will do the same work as the mop, but more quickly, and the floor will usually not be a wet mess for a long time afterward. If you have ever scrubbed the floor, you know what pain feels like in your arms and knees. With the steam mop, the job becomes much easier. Instead of being hunched over, scrubbing excruciatingly over a stain, one will be able to get stains out without all the elbow grease. The steam is very efficient in eliminating stains and other blemishes from the floor. One might also notice that floors often look murky after mopping, but with the steam cleaner, the murky floors gain some noteworthy shine. These are the kind of clean floors that demand attention and admiration from all who see it. One of the worst things about the average mop is the bucket that comes with it. It is bulky and often hard to maneuver, and emptying it can be a challenge too. Often dumping it out outside will create another mess to clean up later from the dirty water residue that drips onto the floor. The steam mop eliminates the need for the bucket because of its hot water chamber. This makes the steam mop much more maneuverable and much less frustrating. As with almost any other product on the market, the best place to go to figure out what kind of steam mop is best for you is to check out the best steam mop reviews. Websites with a lot of reviews are the best because they show a better average and consistency than websites with only a few reviews. You can find out the different aspects of varying steam cleaner models through the company websites of the respective models. It is imperative you know what you will be cleaning. You need to know what the material is made of, if it is sealed or not, and whether the steam mop you want will damage that material. As far as the mop itself, you should have an idea of what you want your potential steam mop to clean. You should know if you want a handheld or stick style steam mop, what extra accessories you want with it, how fast you want it to heat up, how fast you want the cleaned surface to dry off, and how much pressure you want coming from the steam mop. You should know how frequently you think you will use it, and whether or not you will actually keep up with maintaining your steam mop. Overall, steam mops are dependent upon what you want or need in a steam mop. It depends on how much you are willing to spend, how much you value the cleanliness of your hard surface floors, and how much emphasis you place on eco-friendliness. The best tip for choosing the right steam mop for you is to think about its practical uses in your household. Making a decision based on that and the reviews of others will help you pick the best steam cleaner to suit all your cleaning needs. The steam mop creates a heated low-moisture vapor that contains only five to six percent water. This heated vapor combined with a gentle scrubbing motion cleanses and sanitizes the surface it is applied to. It uses less than a gallon of water. Should I put extra cleaning solutions in the water tank? Do not add anything other than water into the water tank. Distilled water is the most recommended, as it is easier for the steam mop to handle and prevents buildup of hard water residue. How often should I change my cleaning pads? How often they should be changed depends on the frequency of use and how often the pads are washed and dried. If the use of the steam mop is frequent, changing pads should occur about two to three times a month for the absolute best performance. What surfaces can be sanitized by a steam mop? Any hard surface that can withstand heat is safe to use with a steam mop, whether that is a hardwood floor, a stovetop, and counter, and others. Do not use a steam mop on plastic, cold class, or unsealed hardwood floors. Why not just use a sponge and soap? Soap and sponges leave smears and damage the surface of what is being cleaned. The chemicals from this method can be harmful to people over time, and it is a laborious method for cleaning. The steam mop is easy to use, it gives off no harmful chemicals, and it is not harmful to the surfaces it cleanses. While five benefits were mentioned above, it is time to address five common misunderstandings when it comes to shopping for the best steam cleaner. Before they are listed, it should be stated that these apply to the most basic steam mops, not to all of them. First of all, not all steam mops clean carpets. When cleaning the carpet, remember that steam will help kill bacteria and eliminate odors, but only if one holds the mop an inch or two over the carpet. The mop head should never touch the carpet. Just remember that a basic steam mop is not a replacement for a steam cleaner. One might also get the impression that vacuuming or sweeping before using the steam mop is unnecessary, but one would be wrong. The steam mops might be able to pick up some loose debris, but unless it has a vacuum attachment, it will never get all of the particles that need removing. Also, steam mops are not functional on all floor types. Always check with the manufacturer about floor types or read any care instructions that came with your flooring before purchasing a steam mop, as some do not work so well on unsealed flooring and sometimes laminate and other such surfaces. It is always a smart decision to be cautious. When people think of steam mops sanitizing floors, they think it is an instant process, but they are wrong. One cannot simply steam mop the floor as quickly as possible and completely sanitize the floor. The steam must reach a certain temperature before it can eradicate harmful bacteria such as e coli. The mop head must be held over the spot from 8-20 seconds before it can be effective, either. If it is done properly, it should take care of the bacteria very efficiently. Some steam mops are designed to effectively clean grout, but not all mops are created equal. Most mops will only be able to touch the surface of grout, as there is so much that can get down in there. Chemicals and a good brush will always be more efficient, but steam mops will be able to at least do a decent surface job, and some will be able to clean it more effectively than others. Laminate Floors: Can a Steam Mop Be Used On Them? One of the main questions concerning steam cleaners is: can they be used on laminate floors? The answer, generally speaking, is no. Laminate is made up of layers of material, and with some of that material being natural, it is all sensitive to moisture. Laminate is difficult to properly clean because it is so sensitive to many different cleaning products. Steam cleaning companies usually outline that their products should never be used on laminate floors, and normally will not cover any damage done by their products to laminate floors for that reason. If worst comes to worst, and all you have to clean is a steam cleaner, it is recommended to use the Black & Decker 2 in 1 model. It has adjustable steam control and doesn’t heat up as much as other steam cleaners. Do not turn the power mop on or plug it in until you are actually going to use it. If you’re switching wipes, cleaning it, or filling the water reservoir, keep it powered off. Dealing with electricity and water together isn’t safe, so there is no reason to take extra risks. Do not let your steam mop idle. Many times, people get easily distracted from tasks they are performing to go do something else, and forget altogether what they were doing in the first place. Steam mops can heat up in seconds, and leaving a mop standing in contact with the surface it is cleaning can and probably will damage the floor. Do not use your steam mop before you have vacuumed. Steam mops are not vacuum cleaners, and will not pick up dirt or dust like a vacuum cleaner. A steam mop sanitizes and cleans floors, removing dry dirt. Not vacuumimgng your floors before you use a steam mop on them can potentially damage your steam mop. Do not use steam mops on unsealed surfaces. Make sure you know what you are cleaning with your steam mop, because it can possibly damage your floors. Using one on unsealed surfaces can cause swelling in the surface. Do not use a steam cleaner on a recently waxed floor. Even though it makes sense to want to keep the shiny finish nice and clean, steam cleaning can actually damage and destroy the wax. If it has been awhile since the floor has been waxed, test a tiny surface area out of view, like under a piece of furniture, and make sure the steam cleaner doesn’t do any damage. Where to Buy a Steam Mop? Steam mops can be purchased from a number of appliance stores, however, many people are instead choosing to purchase their steam mop online. In fact, most of the best selling steam mops are now sold from online stores. The reason for this is that online stores such as Amazon usually deeply discount their products, allowing you to find a cheap steam mop for sale much easier. If you are looking for the best steam mop to buy, you may want to consider buying online. If you are looking for a quick and natural way to keep your home clean then purchasing an electric mop is a great choice to consider. These innovative mops are made to make cleaning and disinfecting any surface quick and easy and will certainly be the most powerful tool in your cleaning arsenal. Carefully consider the information in this guide, read through customer reviews, and buy a steam mop that will get your floors shining clean.